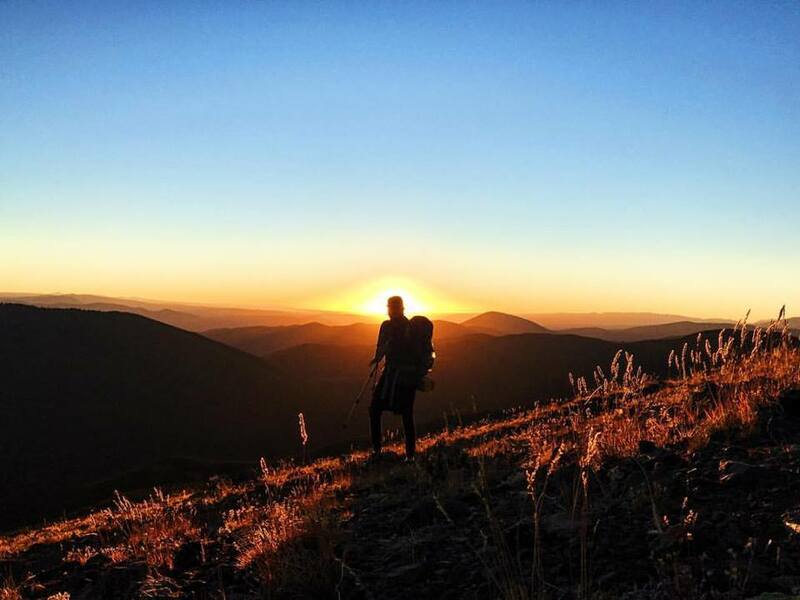 TRIVIA QUESTION: How many people have hiked the entirety of the Appalachian, Pacific Crest, and Continental Divide Trails- better known as the Triple Crown of Hiking? Two hundred and fifty eight. You could likely squeeze that many people into your local Starbucks. * As of 2015, according to ALDA-West, the organization that recognizes the Triple Crown. Given all the attention these trails receive, including two major motion pictures in as many years, you might’ve overshot that figure. But when you consider what this undertaking entails, ~7,700 miles (depending on which CDT route one chooses) on foot- roughly the distance from Brasilia, Brazil to Anchorage, Alaska- the number starts to make more sense. 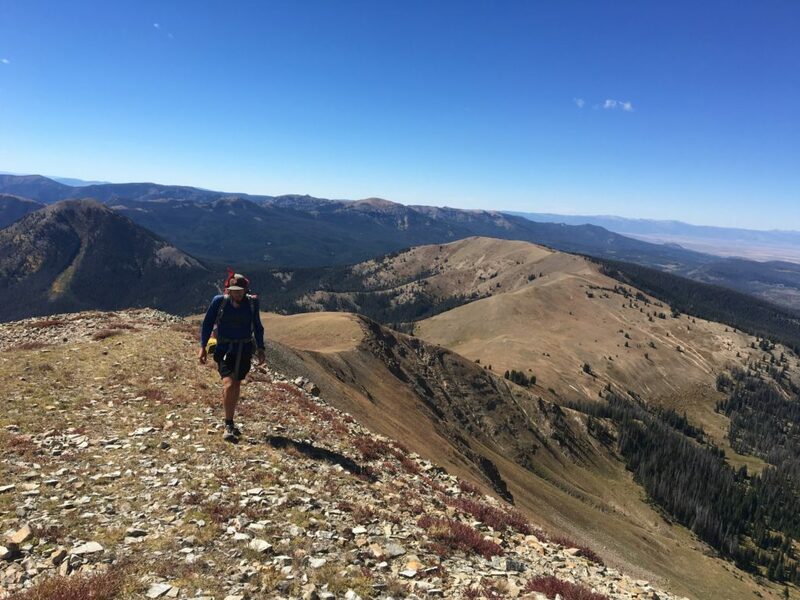 As if the challenge of a Triple Crown weren’t enough, this year, Jeff Garmire- aptly known as “Legend” on the trail- set out to complete these three trails in succession within a single calendar year. He accomplished this mission on October 15th. While the typical thru-hiker is completely drained by the end of their journey, Legend was transitioning to his next ~2,500 mile haul. 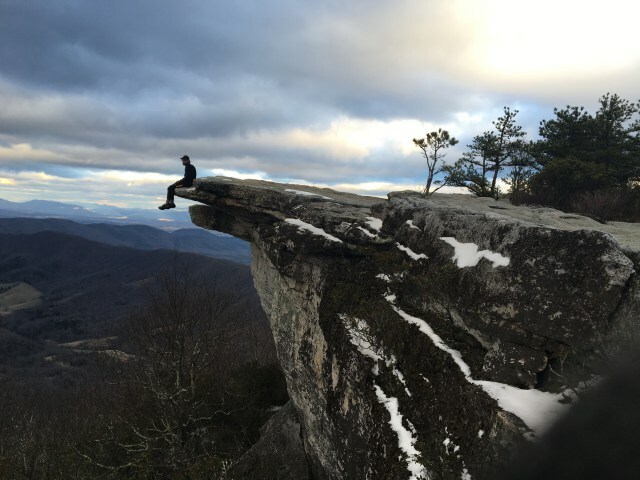 While the typical thru-hiker has the benefit of timing their journey to maximize favorable weather, Legend had to decide which trail to tackle during the heart of winter. While the average thru-hiker takes between four and six months to complete one of these trails, Legend conquered all three in just eight months and ten days. We caught up with Legend to better comprehend the incomprehensible. Appalachian Trials: What inspired you to take on a calendar year triple crown? Legend: On my first thru hike on the PCT in 2011 I realized I could string together some bigger mileage days and the wheels started spinning. The Calendar Triple Crown then sat in the back of my mind and I knew there was a chance I could do it, I just needed the time and money. I have always been someone who accomplishes something and looks ahead to a next, bigger challenge. I thought, “I did one thru hike in a year, why not try 3”. This was the year I had the right amount of time and money to make an attempt at it. As other hikers know there is just something special about thru-hiking that is hard to explain. With three thru-hikes I could get three times that feeling. And it turns out I did. AT: How did you train / prepare for this? Legend: I prepared by working and saving up money for the trip. Essentially my first couple of weeks on the trail were my training. I was in decent shape to start but was no elite athlete. I knew that I wouldn’t make the Calendar Triple in the first month but I could break it and ruin my chances if I pushed too hard out of the gate. 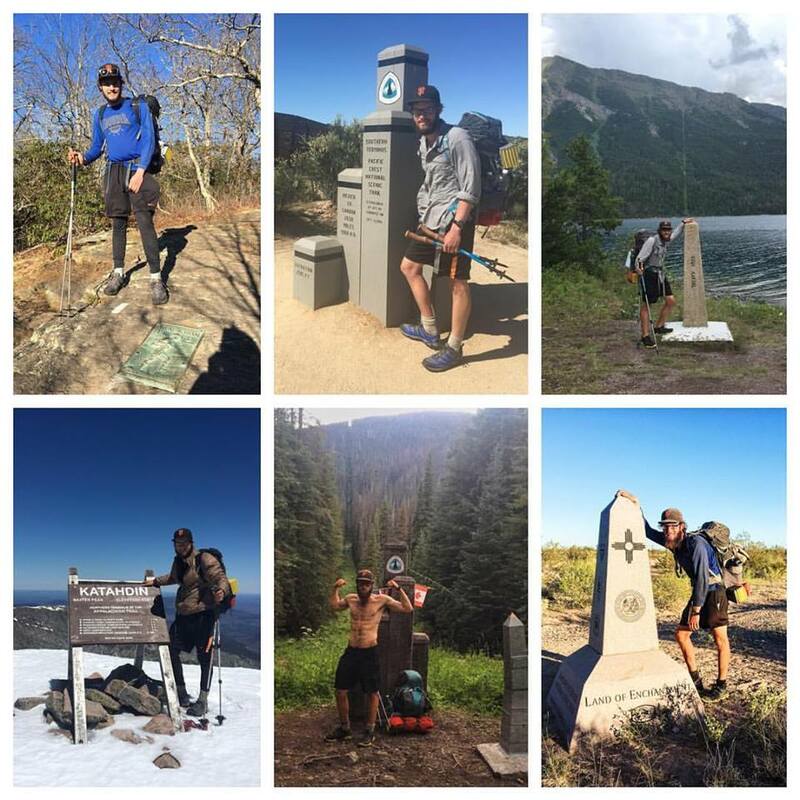 There were many opportunities to make up miles on the PCT and CDT. I just had to survive the AT and embrace the winter hiking conditions. AT: Accomplishing the Calendar Triple means you were able to stave off serious injury while pushing your body to extremes over the course of eight months. Was this the byproduct of an injury prevention or recovery routine (i.e. stretching / icing your legs in town), good luck, or both? Legend: It was mostly luck and lots of willpower. My feet hurt pretty often, I had bout a of dizziness from calorie deficiency and tendonitis in my Achilles but I was able to push through these challenges. I was lucky these were the most difficult challenges I faced. AT: Did you ever want to quit? If so, what stopped you from doing so? Legend: There were definitely times that it just plain sucked. But I knew deep down these would be the best stories later and I have never been one to quit anything. When I started hiking the calendar triple I didn’t know if I would finish it, but I knew I wouldn’t quit. New England was one of the most trying and exhausting challenges. I was continually breaking gear, cold, struggling to find the trail, and falling down the steep ice shuts. There were times I would see the rebar ladders under a thick layer of ice. I would say my low-point was walking through the Mahoosuc Notch in early April where there was still a good 3-5 feet of snow and ice. AT: What order did you hike the trails in? Which direction for each? Why? Legend: I hiked AT-north, PCT-north, and finished with the CDT-south. I knew I had to complete one of the trails out of season and between being the most well marked and the lowest elevation, the AT was the obvious choice. If I could get through the Appalachian Trail in one piece and be on the PCT by mid-May I would give myself a good chance of completing the Calendar Triple. I chose to walk the PCT second instead of the CDT because I wouldn’t encounter significant snow for longer as well as my yearning for feeling some trail culture that was lacking from the deserted AT in the winter/spring. AT: How long did each trail take? AT: What was your biggest mile day? AT: How many zeros did you take? Neros? Legend: I didn’t take any zeros on trail. My lowest milage day was 7 miles in Massachusetts when I weathered a stomach flu in Mt. Wilcox North lean to. I took roughly 8 days off between trails to recover a bit and travel to the beginning of the next trail. AT: Which trail was the most challenging terrain-wise? Legend: The Appalachian trail was the most difficult with the ice and snow that I encountered in North Carolina, Tennessee and the Northeast. But taking weather conditions out of it, the Continental Divide Trail has the most elevation loss and gained on a daily basis. Each trail definitely has its own terrain challenges. AT: Which trail was the easiest terrain-wise? 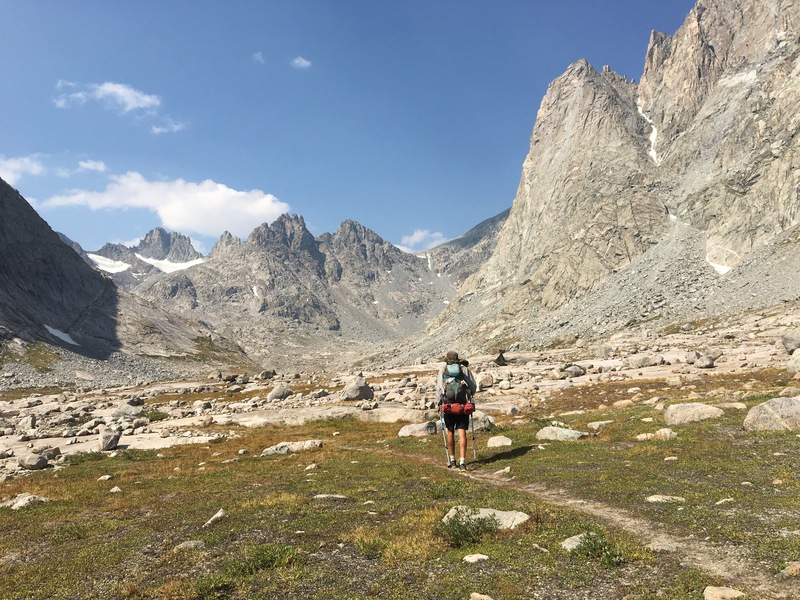 Legend: The PCT was the easiest terrain wise because I hit it at a much more favorable time of year than the Appalachian Trail and many of the climbs are less steep than the CDT. AT: What shelter(s) did you carry? Legend: I carried an Etowah Outfitters zip-10 tarp for roughly 1/4 of the trip and a Big Agnes Fly Creek tent for 3/4 of the trail. I trusted the Big Agnes much more in storms and snow so that is why it got so much more use. AT: What sleeping bag(s) did you carry? AT: What pack(s) did you carry? AT: What footwear did you use? Legend: I used 3 styles of Columbia shoes that came out to 13 pairs used overall. I started out with waterproof running style shoes then switched to mesh style shoes mid way through the AT (once it was warmer) and wore that style through the rest of the hike. I used columbia because I got a discount on the first 4 pairs and at that point I decided not to mess with a good thing so I bought the next 9 pairs in the same style. AT: What were the major gear differences between the three trails? Legend: On the Appalachian Trail I often carried warmer gear suitable for winter. In the Smokies I had a much warmer sleeping bag and and an entire extra base layer. Everything would freeze every night that was not in my sleeping bag so I either had to wear it to bed or rotate layers in the mornings. I also carried traction (stabil gear “microspikes”) from Springer through Roan Mountain and then again through New England for help on the ice. On the PCT I tried to cut out all unnecessary weight especially in the desert. I carried minimal clothes and a much lighter sleeping bag and was able to get my base weight down under 10. 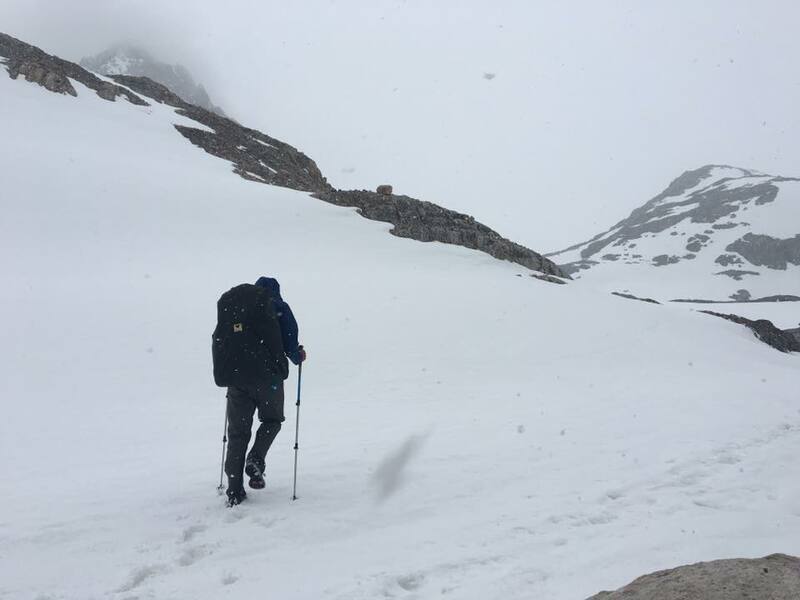 In the Sierra Nevadas, I carried crampons through the High Sierra (I went through in May) and then switched back to the Stabil traction devices until I was finally through the snow. The CDT was pretty similar to the PCT and the only change was that in Southern Colorado as it was changing to fall, I changed out my jacket and gloves to be a bit warmer in the frosty mornings. AT: What was your most memorable experience- or section- from each of the three trails? Legend: The Appalachian Trail was especially memorable in the Smokies and the Whites. The were both so difficult, physically demanding and I saw so few people that I really faced my limits and pushed through some tough conditions and terrain. When every step could have severe consequences you tend to remember those moments clearly. I will never forget some of the ice chutes I had to walk/crawl up in the Whites. I also will never forget swimming across the Kennebec River. I went through before they were running the ferry and I was unable to set up a ride ahead of time. I arrived at the river bank and knew there was only one option: strip naked and swim across the river. I have never been in water that cold and I hope I never am again. The Pacific Crest Trail is my favorite trail because there is a little bit of everything and the trail is so well maintained for the most part. Going through the Sierra Nevada mountains in May was a highlight of the entire trip. There was near constant snow for 200 miles. It was pretty incredible to be walking through these amazing mountains and passes and having the entire trail to myself. Even the pictures of that area don’t do it justice. The Continental Divide Trail had so many memorable parts for both good and bad reasons. The thunderstorms were pretty scary in Montana and Colorado but some of the views and ridges that the trail follows were breathtaking. The wind river range in Wyoming was amazing and reminded me a lot of the Sierra and I was able to catch some fish in the lakes there! AT: What was your least favorite section from each of the three trails? Legend: Any trail is a good trail. There are some long sections of road walks in New Mexico that were not the most enjoyable and this year there were a couple of long road walks for fire detours in Southern California. Other than those if there is a trail I wont complain about the quality or the scenery of it. AT: What advice would you give to someone who was looking to take on a single year triple crown? Legend: It is damn hard. The only way to do it is to break it up into pieces and only think of 4-7 day stretches at a time. I went through the majority of the hike only thinking ahead to the next resupply section. If I had tried to think big picture or count down miles I don’t think I could have mentally handled it. It was tough in my second week to be walking through three feet of snow and I can’t imagine handling it while thinking, “Only 7,000 more miles of this.” In the end it is 95% mental and physically you have to be a little lucky to not have any significant injuries. Legend: Now that this is done I have to find a job and climb back out of debt. I have multiple future projects in mind too, I just need to replenish my bank account! A book may be coming at some point. Get more from Jeffrey’s Calendar Triple at his blog, Facebook Page, Instagram, and learn more about the cause he was hiking for. This man is unbelievable! Yeah dude, write a book, and if you need motivation, hire some help. This is the best article that ever hit this site.